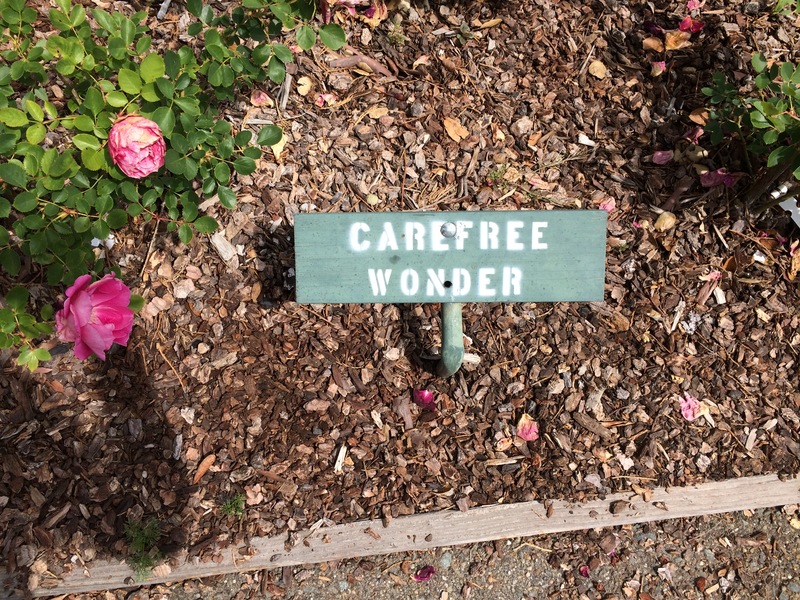 I learned recently that there’s a kind of rose named Carefree Wonder. Who knew? I happen to think it’s a marvelous name, particularly when I came upon this sign while walking in a rose garden. Apparently, the Carefree Wonder rose got this name because of its hardiness, even when up against bugs, disease, and weather. I am no rose but I certainly do my best to keep myself hardy. I like the reminder that hardiness can go hand-in-hand with carefree wonder. Could carefree wonder be called heartiness?